Another week another section of your bank account gone, that really is the reality of collecting comics and has been for quite a while. This week Marvel wants to help target your phones and tablets with a splash of new comics in digital form. Check out the list below for the details and enjoy as your virtual stacks grow. Star Wars Spanish Edition Hits Dark Horse Digital! STAR WARS SPANISH LANGUAGE EDITIONS LAND IN DARK HORSE DIGITAL! Te gusta la guerra de las galaxias? Beginning today, Dark Horse Digital is releasing three volumes of Spanish-language editions for some of the hottest comics in the Star Wars universe! EL EMPERIO – Tracion: In the weeks before the events in Star Wars: A New Hope, as the Death Star is readied for its fateful first mission, a power-hungry cabal of Grand Moffs and Imperial officers embarks on a dangerous plan to kill Emperor Palpatine and Darth Vader and seize control of the Empire! Imperials, bounty hunters, and Jedi collide in Star Wars: Empire-Betrayal! LA GUERRA DE LOS CLONES – La Defensa de Kamino: The Clone Wars have begun! Ever since they were mentioned in the very first Star Wars film, fans have been dying to know more. Attack of the Clones offered a glimpse, but “The Defense of Kamino” brings the galaxy-wide conflict into full view! New characters and new worlds are revealed as the Clone Wars spreads throughout the galaxy! Posted on January 16, 2013 Author Anthony DavisCategories Comics, News, Press ReleaseTags dark horse, digital, EL EMPERIO, LE GUERRA DE LOS CLONES, s, Spanish Edition, Star WarLeave a comment on Star Wars Spanish Edition Hits Dark Horse Digital! Marvel Friday Sale – Astonishing series books for 99 cents! Marvel loves a good sale, today is no exception for the team as they put on intro looks into their astonishing lines on sale for a limited period (until 8pm PST / 11pm EST). Check out Spider-Man & Wolverine, Thor and X-Men and find out how their story arcs began. Check out the Marvel Friday Digital Sale for all the details including covers, ratings and descriptions of each book so you know if it’s something you want to jump into. Posted on August 10, 2012 August 10, 2012 Author Gabriel VegaCategories Comics, NewsTags 2012, astonishing, august 10, digital, friday, Marvel, sale, Spider-man, thor, wolverine, x-menLeave a comment on Marvel Friday Sale – Astonishing series books for 99 cents! Marvel is going digital in a big way, this week you can enjoy Graphic Novels from the company on your Android Device in a new way thanks to their new assortment of titles. Marvel plans to continue rolling out new content week by week for the platform and it means even easier access than before for Comic fans, you just need to flip open your storefront and grab what looks interesting. If you’re curious to the complete listing check out Google Play and see the goods. 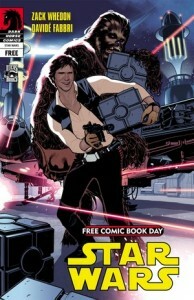 Missed Free Comic Book Day? 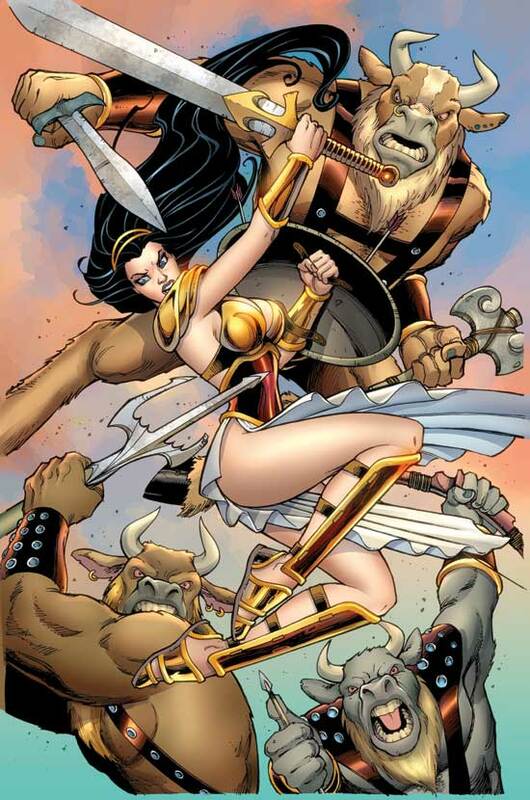 Dark Horse has some digital goodies for you! 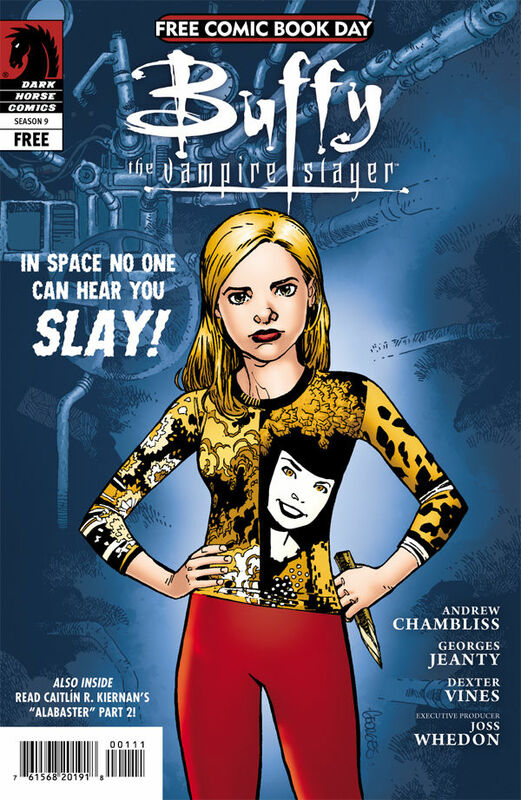 Posted on May 7, 2012 Author Gabriel VegaCategories Comics, NewsTags Buffy, dark horse, digital, download, free comic book day, Serenity, star wars, the guildLeave a comment on Missed Free Comic Book Day? 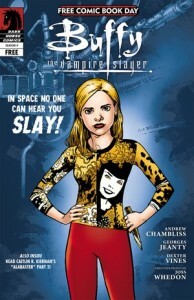 Dark Horse has some digital goodies for you! 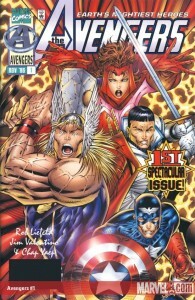 Marvel Mondays are back in action, Thor goes for 99 cents! Missed out on your digital issues of Thor and Loki for a while? Marvel is offering a chance to catch up for the Monday Sale! With the new Digital Comics store it’s possible to read these issues on iOS, Android or your PC so you have total flexibility when you settle down to read all the issues. The sale runs until 11:00 pm EST tonight, after that they all go back to regular prices. Remember the sale is also available over mobile and not just the PC Digital Store. 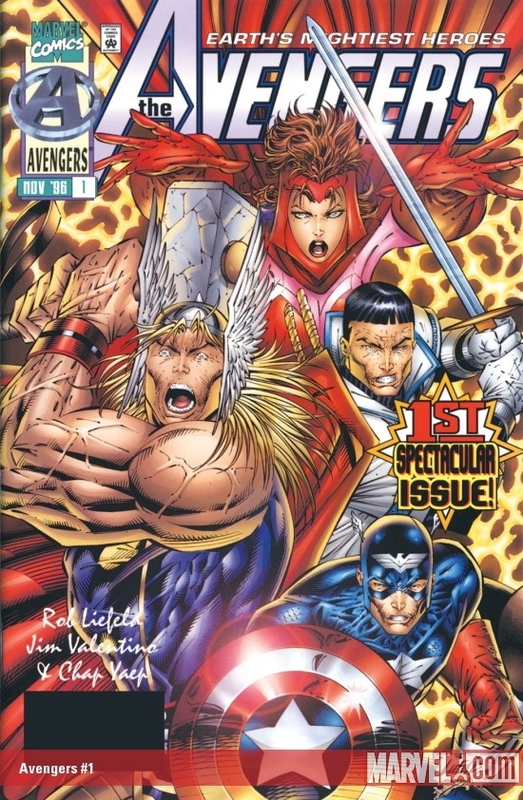 Posted on April 23, 2012 Author Gabriel VegaCategories Comics, NewsTags 1, 2, 3, 99 cents, comics, digital, Loki, Marvel, store, thor, volumeLeave a comment on Marvel Mondays are back in action, Thor goes for 99 cents! Looking for a discount weekend to catch up on your inventory? 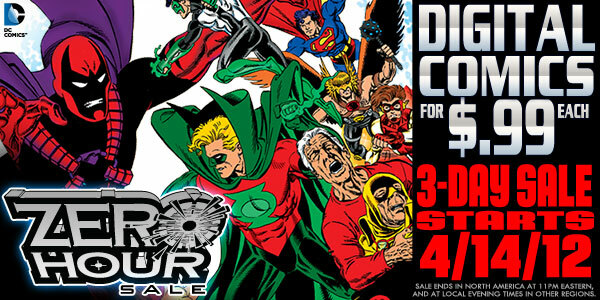 DC Comics has a deal for you then, this weekend for 3 days they’ll be kicking off a massive Zero Hour saga sale through their comiXology storefront for 99 cents per issue! All 70 books and limited series issues will be on sale so that you’re able to bundle the complete experience at a massive discounted rate. For a comic that pulls the heroes of the world together against a common enemy we’ll see them rise to new heights to save time and space from crumbling around them. Check out the comiXology link to get started, keep in mind this sale will not be active until tomorrow. We’re giving you a heads up though so you’re prepared and not catching this on Monday with a huge sigh of disbelief. today is pushing out Batman Digital and Ame-Comi Girls, two new titles looking to expand the lineup to 5 unique franchises so you can get a new experience from the company each day of the week every week. DC Comics will offer new releases Monday through Friday for the following series in June, until then expect the current 3 to roll out and then Ame-Comi Girls to hit in May. BATMAN digital, launching in June, will take place outside of DC Comics – The New 52 continuity and feature a series of stand-alone stories by various creators that chronicle different cases handled by The Dark Knight. Confirmed creative teams include Damon Lindelof and Jeff Lemire; Jonathan Larsen and JG Jones; Tom Taylor and Nicola Scott; Ales Kot and Ryan Sook; B. Clay Moore and Ben Templesmith; Steve Niles and Trevor Hairsine; Joe Harris and Jason Masters; TJ Fixman and Christopher Mitten; Jeff Parker and Gabriel Hardman; Joshua Hale Fialkov and Phil Hester; David Tischman and Chris Sprouse; and many more! AME-COMI GIRLS, launching in May, is based on the best-selling product line from DC Collectibles that brings the distinct Japanese influence of anime and manga to DC Comics’ female heroines and their foes. In the new series, the heroines must unite to stop an invasion by the female Braniac, who is aided by a group of “bad girl” super villains. Initially, there will be five individual character arcs with multiple chapters, leading up to united, Ame-Comi girl series. All stories are written by Jimmy Palmiotti and Justin Gray with Wonder Woman art by Amanda Conner and Tony Akins, Batgirl art by Sanford Greene, Duela Dent art by Ted Naifeh, Power Girl art by Mike Bowden and Supergirl art by Santi Casas. The goal is to bring unique content to fans across all mediums and this online focus should help cement their commitment to digital fans in this new era of comic collecting and reading. 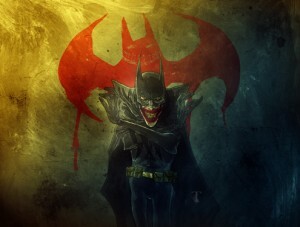 We’ll have to see how this pans out and if DC will aim on implementing any other franchises into the mix.